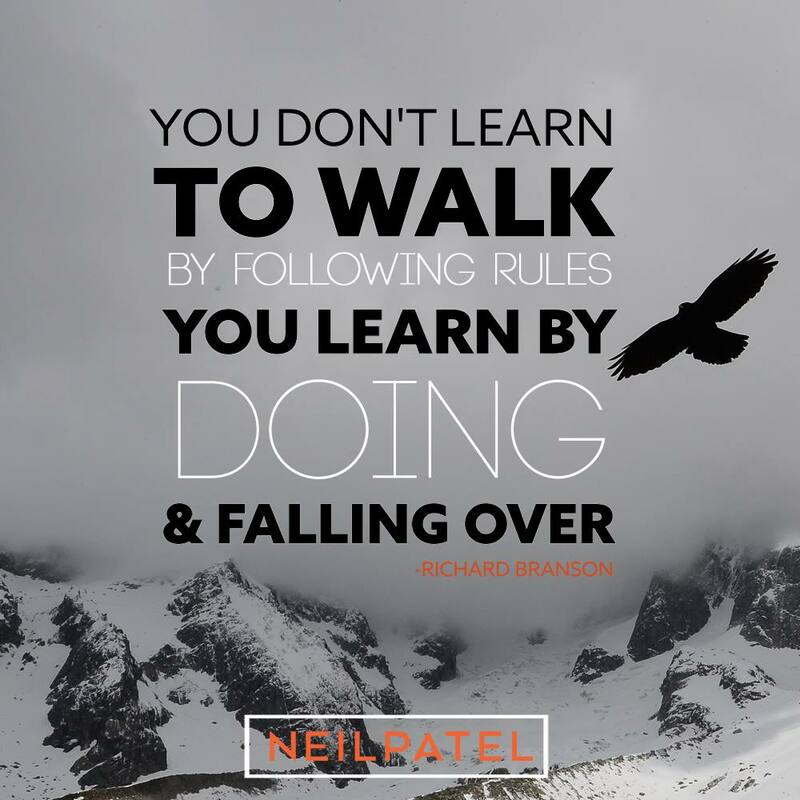 At just 31 years old, Neil Patel is not only one of the busiest marketers around but also one of the successful and well-known. 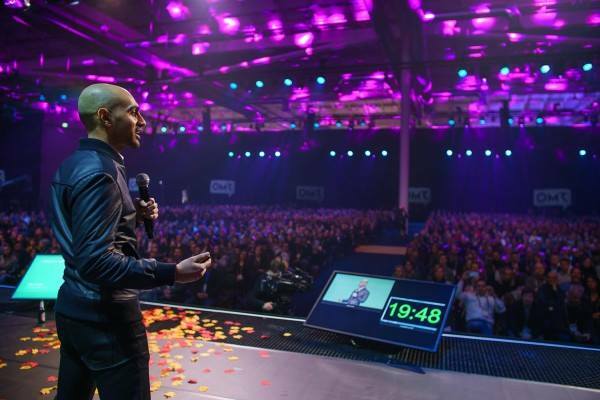 His advice has helped thousands of businesses to get more customers and make larger returns. And it all started before the age of 16 when he launched his first website Advice Monkey. Straight away he was networking with other marketers and learning whatever he could from whatever opportunities were around. Of course, being young, he didn’t expect much response from people, and a majority of the people who he did contact weren’t helpful. However, some were. And that made his efforts worthwhile. At the start, he tried a lot of stuff which was talked about online, such as optimizing title tags and cross-linking pages. It wasn’t long before he was working out for himself what worked and what didn’t. It’s thanks to those tips other marketers shared with him, and the things he learned from trial and error, that have made him one of the leading marketers around. Back in 2002, Neil partnered with Hiten Shah to create Advanced Consulting Services together. The pair were, and still are, a good fit. What Neil lacked in business skills, he made up for with his technical know-how, and vice versa. And today, they’re still partners in business, as well as Brothers-in-Law. They take on the business roles which play to their strengths, with Hiten taking control of design, engineering, product, and operations. Neil focuses on marketing and sales. Jumping in straight at the deep end, they were quickly working with big clients which came from speaking opportunities which Neil took up. However, it wasn’t the big business clients which made them the money. Instead, they acted as leverage for getting new business. It was the large contracts they had with small and medium businesses. And it was by working with the big, recognizable names, they were able to achieve those deals in the first place. He may have been young, but the key to achieving his business then was by proving his value. So by giving a talk at a networking event, he is showing to people that he knows exactly what he’s talking about. He was displaying his talent and the reason why companies should hire him. However, having never been much of a fan of consulting, and not really enjoying it, he was ready to move on to the next challenge. And now he much prefers being involved in the creation and selling of software. Anyone can essentially use it, love it and be positively impacted by it. And that gives him much better satisfaction. That’s where Crazy Egg came from in 2006, and likewise KissMetrics and Hello Bar too. Neil works on his blogs every day, writing for his own website and QuickSprout. It is a major focus of his marketing as it works really well for his business. First, he comes up with a topic, using BuzzSumo to generate ideas from keywords. As well as that, he may use questions he’s been emailed and look online to see what people are asking. Once he has the idea, he crafts a headline before outlining his post. Writing the introduction, subheadings and conclusion first, before going backfilling in the body of the text. With a clearer idea of where the article is going, he can make sure he gets there smoothly. However, his blogs don’t follow a specific formula. He simply writes with the user in mind. And that generates good results because he has a clear idea of who his audience are so he can write for them. After it’s created, he then hands it to his editor who cleans it up before scheduling it on the blog with images. But Neil then goes back to it and often creates multiple headlines. He will then use A/B testing to help figure out which one works best. When you have great content and products, people want to stay on your website. And they’ll also want to share it themselves. Then it won’t be long before Google starts realising its popularity. Neil has a few good, and simple tips for anyone attempting to make money from their blog posts. However, it will take patience as you’re unlikely to see results immediately. You need to make sure that what you’re blogging about has a large enough market. For example, a blog about plumbing in Wisconsin is generally not going to have a large enough market to make money from. On the other hand, a blog about worldwide travel is far too saturated. You need to have a niche in order to stand out. However, it’s important to not make it too small or closed, otherwise, you’ll also not have enough interested people to actually talk to. By using Google Keywords, you can get a rough idea of just how large a market is by seeing how many people are actually looking for what you’re offering. You need to also produce content consistently. On his own blog, Neil took a month off after spending a long time updating it regularly. He instantly saw a large drop in traffic to his website, from which it took him three months to recover. But he manages to get so much done in his life by remaining consistent too. He blocks off time in his calendar for certain tasks and enjoys a routine. That way, he is more likely to actually achieve things. Once the blog is finished, you should then email everyone who you linked to in the post. Reach out to them and let them know that you like their content so much that you just had to share it. That way, they will then share your post with their audience, and you’ll see a surge in social traffic. With new people visiting your website, you now need to turn them into repeat visitors by getting them to subscribe to you. With them on your email list, you’ll then be able to let them know about your products and services. Neil has used testing to discover that he sees better success by nurturing the lead first, rather than going in right away with the big sale. The key to success, and happiness, is to find out what you love in life. And you can discover this by giving things a try. For example, Neil didn’t like consulting, so he tried it for a few years before deciding it wasn’t for him. But it was through that job that he realized his clients needed and wanted software. From there, he then discovered that he didn’t like creating software as much as selling and marketing it. He is willing to give anything a go to figure that out. And his new book, Hustle, is about that. Ideal for anyone getting into entrepreneurism, or trying to figure out what they should do, Hustle will help you to succeed. And not only that, it will help you to get stuff done without having to spend money. It’s a book he wrote to help people who are struggling, and it has already reached the New York Times Bestseller list. 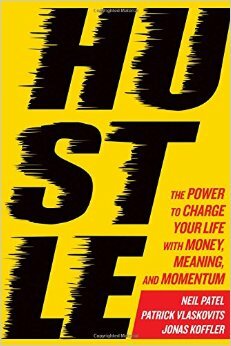 So get your copy of Hustle now. 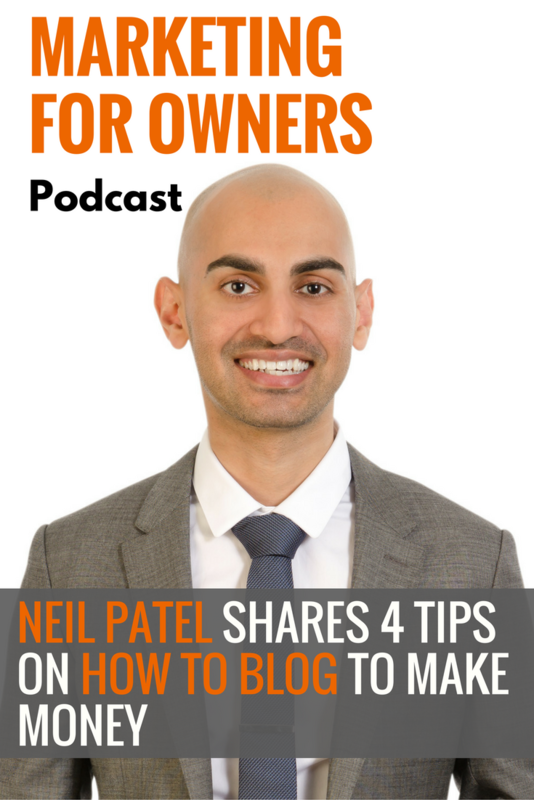 And you should also check out Neil Patel’s website to read his amazing blog posts and listen to his own podcasts. You’ll also be able to benefit from his free tools. Don’t forget to check out his blog on QuickSprout as well.